"Little Turtle Messenger" is a story about how a little girl meets a turtle in her dream and is brought to the world of turtles to see some of the hazards faced by them. She finally arrives in the village of turtles and finds only old and sad turtles. She immediately realizes why the young ones are missing. 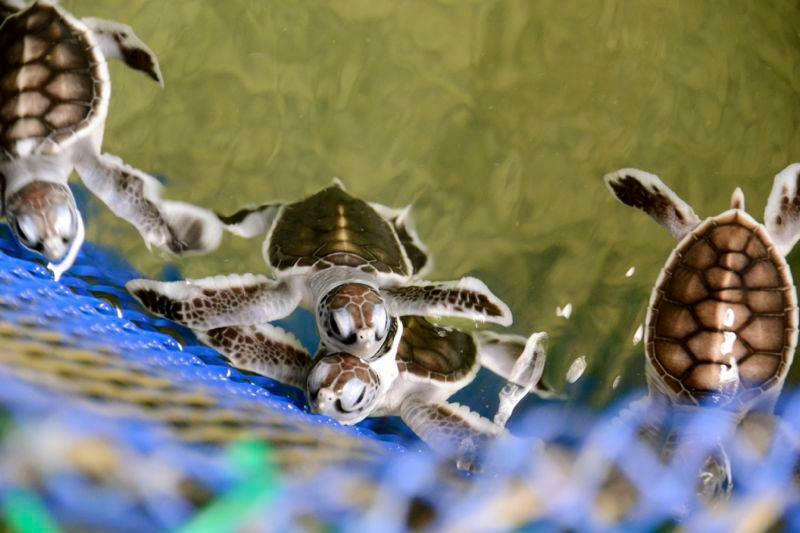 Humans have been eating turtle eggs, not giving them a chance to hatch. She promises the turtle she will help. By relating the turtle's story to her friends, family, school, then other schools, she is able to get people to stop eating turtle eggs. Our project is to design & develop an interactive storybook app for the Apple's iPad, based on the story, "Little Turtle Messenger" with subtle messages; to spread Turtle Conservation Society of Malaysia's activities in the turtle & terrapin sphere. It is based on a Malaysianized hardcopy storybook & DVD animation by the same name, Little Turtle Messenger. We hope the iPad storybook will reach out to a global audience on the conservation efforts and how everyone can play an educational role within their community, while raising funds at the same time, for more conservation work through Turtle Conservation Society (TCS) Malaysia. The project is targeted at the people who want to contribute towards turtle & terrapin conservation but don't know how. The development & deployment of this iOS app hopes to increase fundraising activities in a multiplier effect, where sales from it (after Apple's 30% & government tax) will go back to Turtle Conservation Society, allowing for more conservation activities! As an App in the AppStore, it will stand the test of time and continuously raise fund with the least minimal effort. If you have any questions, please feel free to pose your questions in the DISCUSSION board in the Project Page. Please log-in into pitchIN before you pitched to the project by connecting your Facebook to pitchIN. If not, your pledge will be identified as "anonymous" in the Project Page. However, even if you do not login and pledge, your pledge will be accepted but recorded as anonymous. If you do decide to pledge, we hope you will register first before pledging. We think with IDs, not only can the crowd relate to the people who had pledged but will convince others to pitch in too! A Turtle Conservation Society car sticker. Free postage across Malaysia only. For overseas pledges, we will get in touch with you to arrange for courier/postage. A complimentary terrapin adoption, which you may name plus a digital certificate emailed to you. The adopted terrapins will be released by Turtle Conservation Society in the rivers of Setiu & Kemaman, Terengganu, Malaysia. A complimentary terrapin nest adoption, plus a digital certificate that will be emailed to you carrying the following information; nest number, number of eggs, hatchlings & hatching success!